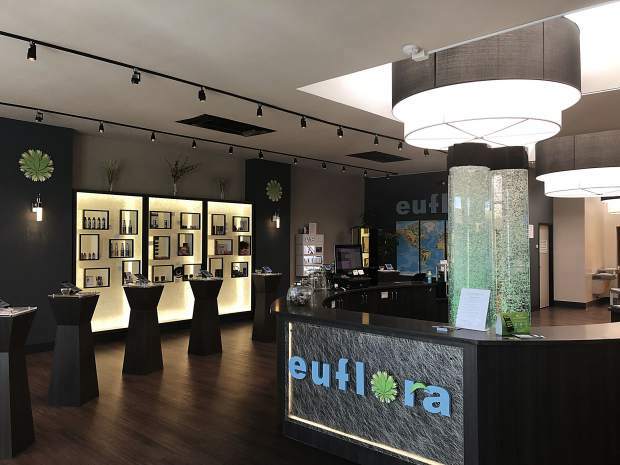 Aurora-based marijuana chain Euflora has plans to open a shop in Aspen's Durant Mall in July. While smaller than its Front Range stores, the Aspen Euflora will resemble the modern yet minimalist design of its counterparts. Euflora will be Aspen’s newest marijuana dispensary after its acquisition of the Stash shop, a deal that is expected to close early next week. Members of the Local Licensing Authority on Tuesday unanimously approved the transfer of Stash’s retail marijuana license to the Aurora-based chain. The license-transfer hearing, previously scheduled May 1, had been nixed after the deal between Stash and Euflora collapsed. Originally priced at $1.2 million, according to city records, the parties agreed to a new purchase price of $750,000 after learning that another pot shop, The Green Joint, would move in next door at the Durant Mall building. The acquisition price entitles Euflora to Stash’s store inventory, equipment and furnishings, as well as the licenses, store lease and marketing contracts, among other items, according to the purchase agreement. 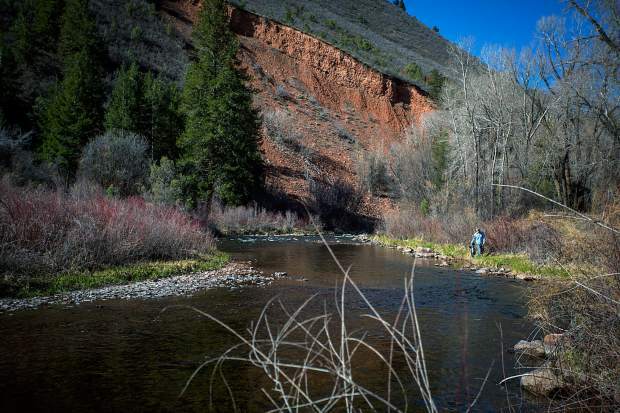 “It’s tough to find locations in Aspen,” Breton said, noting that this is a turnkey deal free of the hassles of starting a retail business up from scratch. “We won’t have to try to come in and find a new location and go through the building process that can take six to 12 months,” he said. Stash owners Garrett and Shawna Patrick expressed concerns at the May meeting of the licensing authority that they had right of first refusal for the space The Green Joint, a Glenwood Spring-based dispensary chain, would occupy. Licensing authority members said at the time the issue was beyond its purview as it is merely a board that reviews liquor and marijuana licenses for approval or denial. The issue remains unsettled, Garrett Patrick said after Tuesday’s meeting. Stash was one of the first retail marijuana dispensaries to open in Aspen — it debuted at the Aspen Business Center on March 5, 2015, the same day Silver Peak Apothecary opened its doors on the 400 block of East Cooper Avenue. Stash will remain open until the deal closes. Its employees will stay onboard with the new ownership, Breton told members of the licensing authority. The Patricks, meanwhile, will continue to operate their grow facility in Pitkin County and be a wholesale distributor to Euflora, said Breton and Garrett Patrick, who noted he plans to expand the farm to 1,800 plants. The Aspen Euflora will be similar to the chain’s other stores in the Denver area but smaller in size, Breton said. Euflora will take over the 610 square feet of space and is investing $100,000 in a remodel to give it the feel of an Apple store, with customers being provided tablets to learn more about the marijuana products. In fact, CBS’s “Money Watch” dubbed the Euflora store on Denver’s 16th Street Mall the “Apple Store” of cannabis shops in April 2014. Breton said the goal is to open the new shop in early July. Euflora has two stores in Denver, two in Aurora and one in Longmont. Plans also are in the works to open new shops in Massachusetts and California, states where voters approved the recreational sale of cannabis in 2016.